The friendly and knowledgeable providers at White Integrated Health Clinics PLLC provide advanced treatments to speed up your healing process. They offer MLS® cold laser therapy at their clinic in Fort Worth, Texas. To learn how MLS cold laser therapy can accelerate your body’s natural healing process, call or book an appointment online today. Cold laser therapy is a safe, painless, and noninvasive treatment that uses light energy to stimulate your body’s natural healing process. It’s called cold laser therapy because the levels of light aren’t high enough to heat your tissues. The team at White Integrated Health Clinics offers the multi-wave locked system (MLS) therapy laser, an innovative, FDA-cleared technology that relieves pain and reduces inflammation. During MLS cold laser therapy, your provider at White Integrated Health Clinics sets the laser to deliver a controlled dose of light energy into targeted areas of your body. The therapeutic wavelengths stimulate tissue regeneration in areas of damaged tissue without harming healthy cells. The team at White Integrated Health Clinics uses MLS cold laser therapy to repair damaged tissue and provide relief from pain and inflammation caused by various injuries and diseases. Cold laser therapy can also accelerate wound healing and reduce your need for pain-relieving medications. What should I expect from a cold laser therapy treatment? First, your provider at White Integrated Health Clinics performs a physical exam and reviews your medical history to make sure you’re a good candidate for cold laser therapy. The treatment takes only a few minutes and doesn’t require downtime for recovery. Every patient is unique, but most people need a series of 8-15 treatments to achieve optimal results. Some people notice an improvement right away, while others require several treatments before they experience the healing results of cold laser therapy. MLS cold laser therapy has no negative side effects and is 85-90% effective at relieving pain and reducing inflammation, though individual results may vary. To find out if cold laser therapy is right for you, call White Integrated Health Clinics or book an appointment online today. Most people would rather feel healthy and avoid injury before pain strikes. 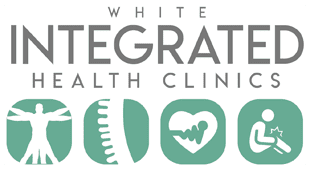 That’s why White Integrated Health Clinics PLLC in Fort Worth, Texas, emphasizes the importance of improving the well-being of their patients from the start, unlike conventional medicine, which only treats illness after the symptoms show up. These preventive measures help their patients lead healthier, more active lives. The White Integrated Health Clinics team is committed to finding new treatment options and state-of-the-art medical equipment to help their patients recover from injury, reduce chronic pain, relieve acute pain, and improve their range of mobility in the healthiest, most natural way possible. This means taking advantage of high-quality conservative and nonsurgical care for spine, disc, and musculoskeletal conditions. Rather than prescribing heavy medications or recommending invasive surgery, the providers at White Integrated Health Clinics turn to alternative therapies to treat the root cause of the problem and relieve pain safely. The practice takes advantage of cold laser therapy to target back and neck pain, musculoskeletal pain, arthritis joint pain, fibromyalgia, tendinitis, bursitis, Achilles tendon pain, and migraine headaches. They also offer spinal decompression for damaged, degenerative, bulging, ruptured, or herniated spinal discs. In addition to these alternative pain treatments, White Integrated Health Clinics sets patients up for a healthier future by focusing on active rehabilitation and lifestyle counseling to foster a long-lasting recovery. The experienced chiropractors at White Integrated Health Clinics know that patients don’t need invasive procedures to alleviate pain and get back to the activities they love. To learn more about the nonsurgical treatments they provide, call or book an appointment online today.